May 1-Oct 15, 8am-4:30pm. Dockage, 100-boat capacity, 30' max. 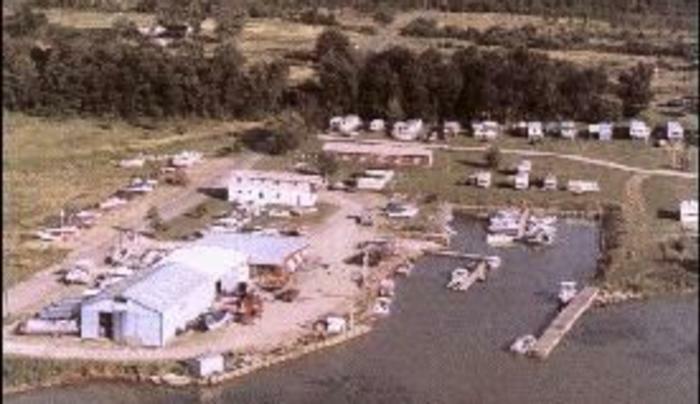 boat length, 3' draft, launch ramp, boat/engine/trailer repairs, gas/propane, storage, marine store, bait, tackle and restrooms. 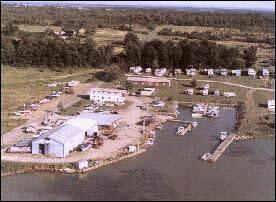 Rentals include pontoons, fishing boats and engines. Campgrounds available.